Overview: When you provide your students with a printed work pack, or even if they have their topic notes in a ring binder with separators, ask them to decide upon an appropriate cover image with an explanation of its relevance directly underneath. 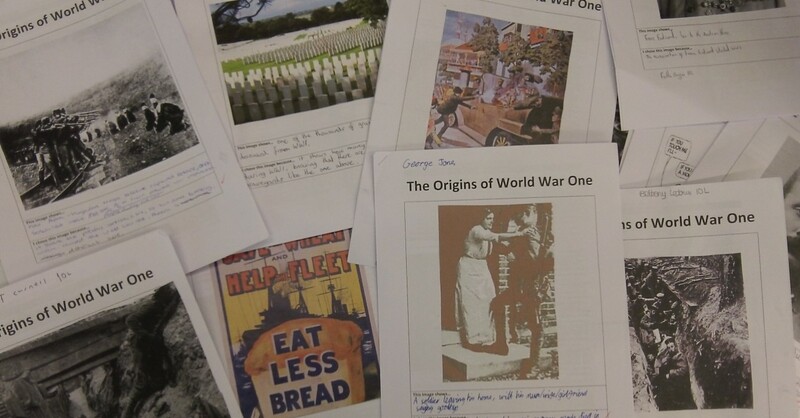 The image here shows examples from my Year 10 students, who produced front covers for their work packs on the Origins of World War One. Get students to explain their choices to each other in pairs and groups. Each student reports back on what they have found out from the other person / people.